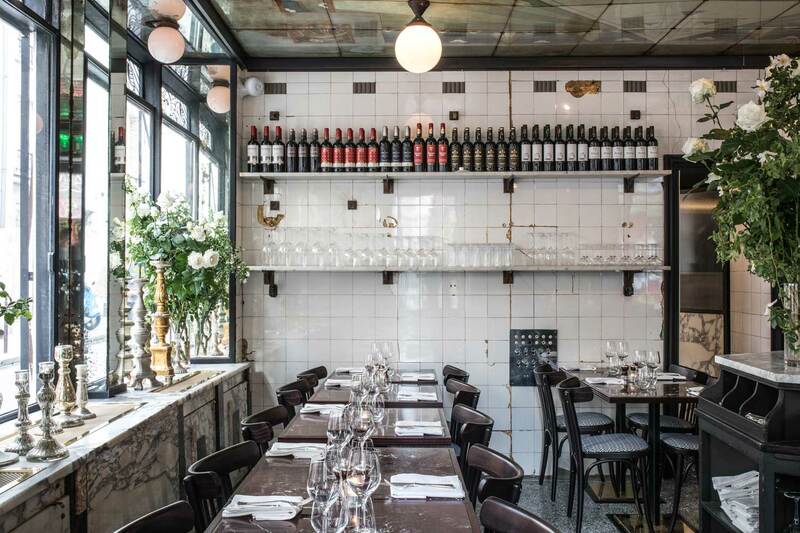 In the historic Le Marais district of Paris, sprawls a charming Art Deco glass painted ceiling, mahogany panelled walls and golden cracks in porcelain white tiles of restaurant , temptingly inviting customers to step inside this theatrical establishment, also known to be somewhat of a fashion hub among the city’s couture crowd. 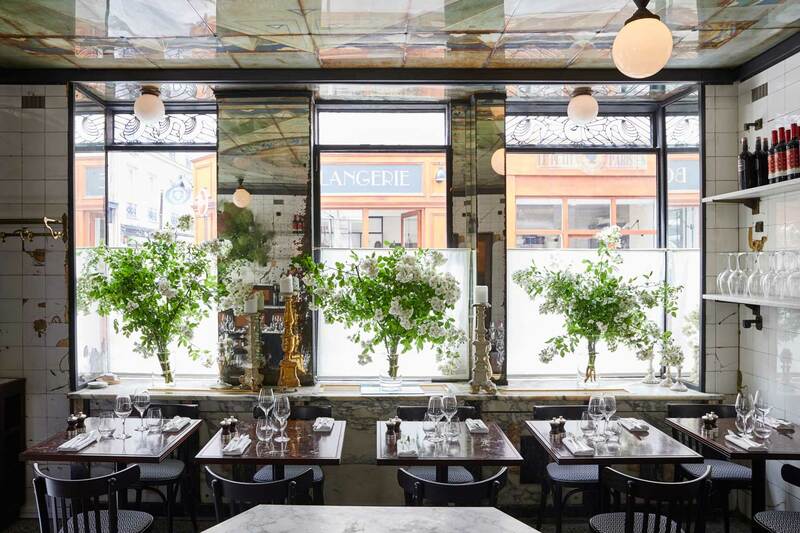 For the restaurant legend , a renowned high-quality meat importer and creator of the global ‘Beefbar’ brand popping up all over the world, the design approach was all about preserving Anahi’s heritage and traditional butcher shop atmosphere. The story of Anahi’s somewhat dated décor yet unique ambiance has been revived by the talented interior designer duo . 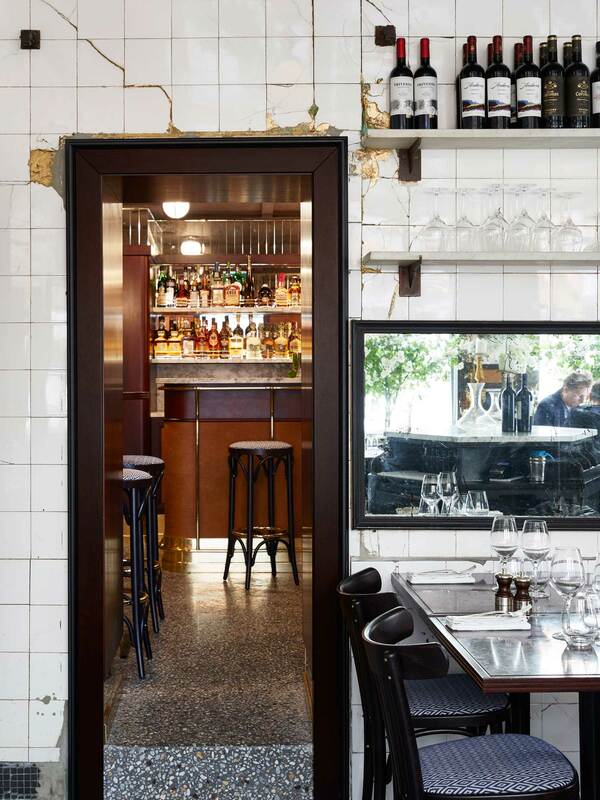 Rather than starting anew, the brief called for celebrating the restaurant’s history, drawing upon much of the existing texture and structure while reinforcing its lively Argentinean identity. 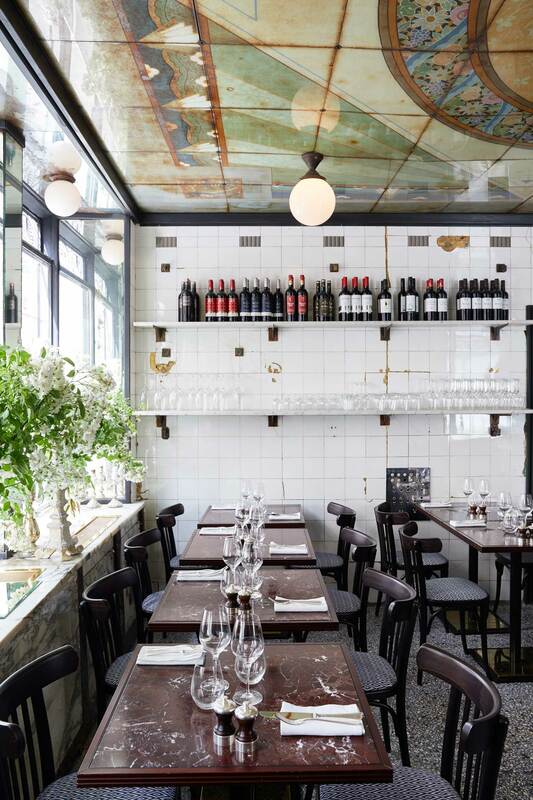 Humbert & Poyet have created a non-pretentious and sophisticated space with 54 seats, where rich palette and polished brass connect the restaurant to its Parisian flair while the soft and delicate updates bring out a more romantic side at play. 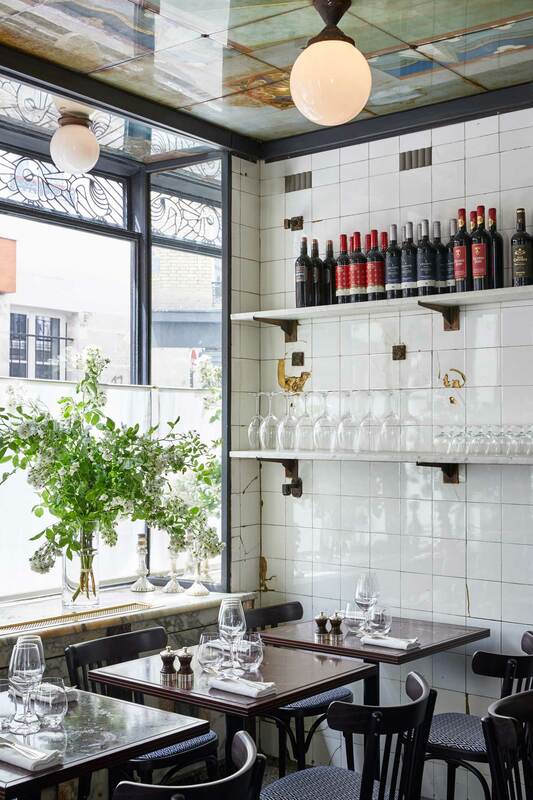 Inspired by the restaurant’s long-standing identity, strong soul and good vibes, the design exposes raw bones of a space while also creating an equally refined interior. 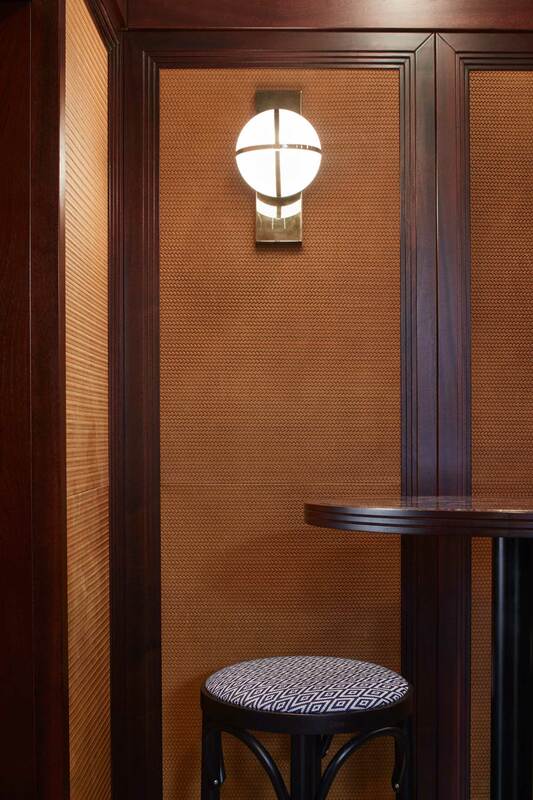 We see numerous references of simplicity and elegance woven throughout the space, turning those charming imperfections into a piece of art. “The energy and good vibes at this restaurant are incredible. I have dined at many restaurants around the world, New York, Tokyo, London, but I have never experienced evenings out like here,” says Riccardo Giraudi. This is not the first time Humbert & Poyet have worked with Giraudi. In fact, they are long time collaborators having delivered the famous Beefbar in Monaco, Mexico and Hong Kong. They are clever in turning spaces into glamorous dining rooms, and the Anahi is no different story. 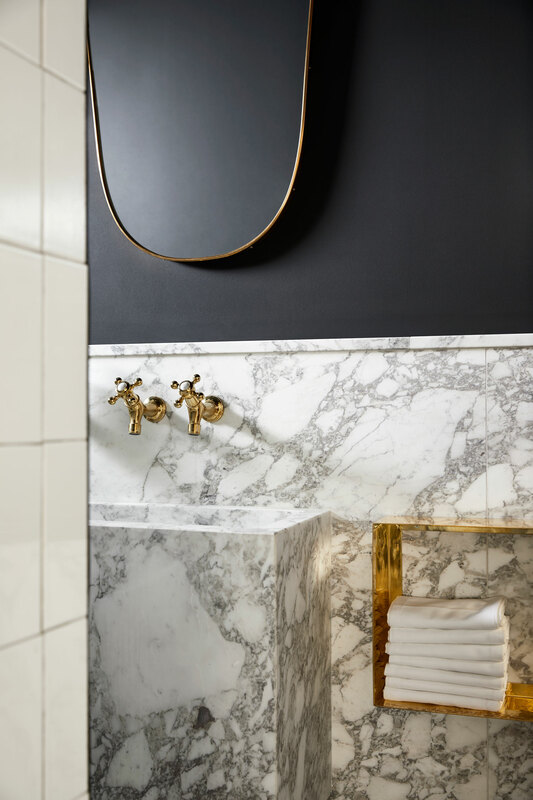 With a design palette of mirror and marble, polished brass and gilded gold, there is indeed a muted bling factor that resonates with this captivating space. What more could possibly add to this original aesthetic, you wonder? The ceramic white tiles in the dining room certainly add an element of freshness and vibrancy, paying tribute to history with copper leaf, which in time will oxidise to give a more subdued effect. 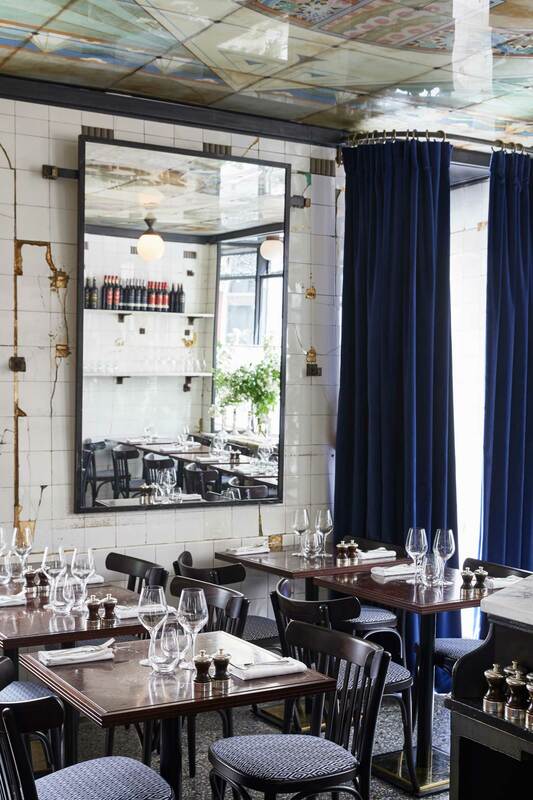 Large mirrors exaggerate the sense of volume and space in what is relatively a small restaurant. 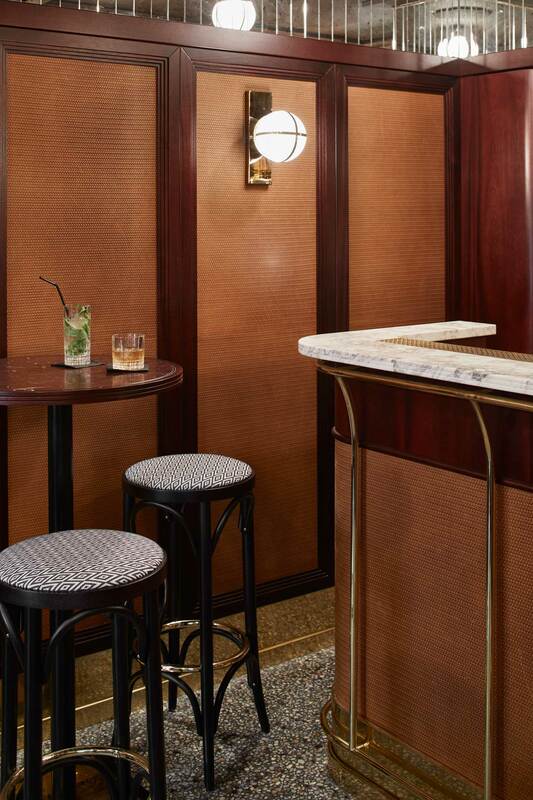 Yet it’s the narrow cocktail bar with mood lighting from globe lights that exudes class and casts a spell of elegance across this whole area, designed to feel comfortable and intimate. 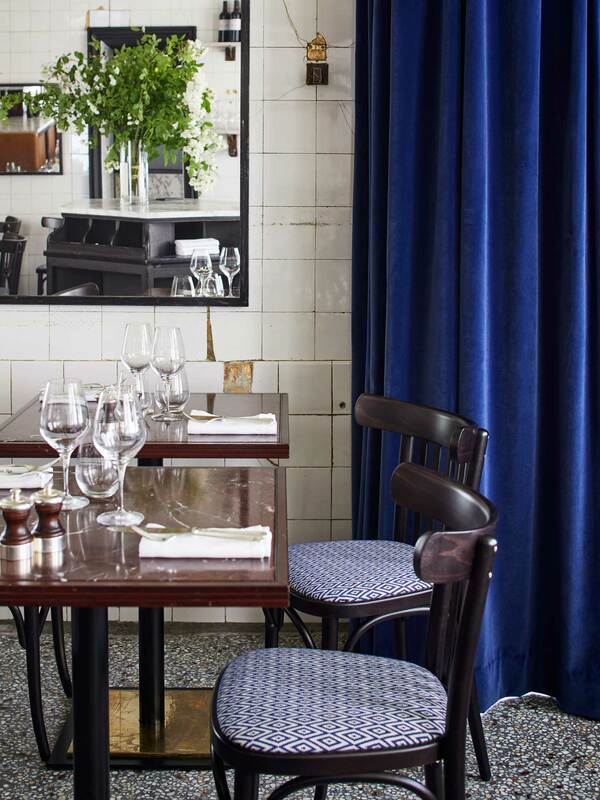 If all that was not enough – add in some gold church candelabras, a pop of blue velvet curtains along with South American inspired upholstery and you have yourself a true homage to the Argentinian identity. A fitting backdrop for romance, style and warmth – much like the fashionable crowd of its regulars, one can only agree that Anahi is the toast of town: social and private at the same time. 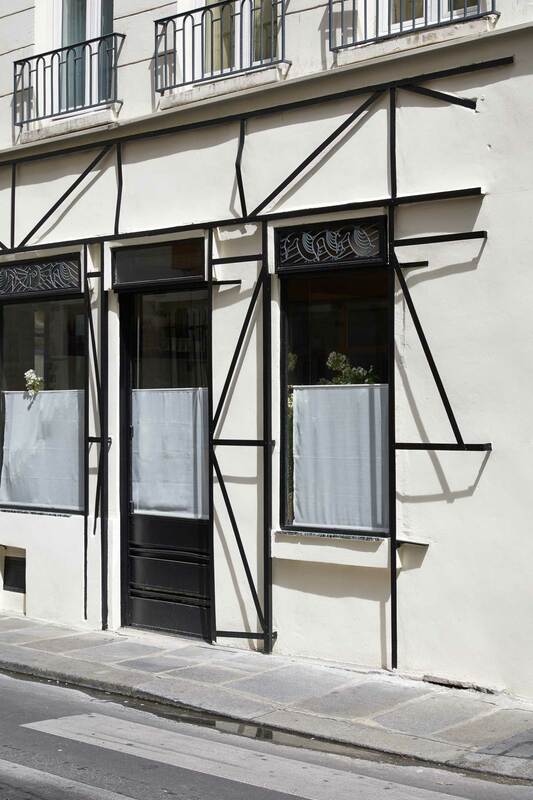 Love this article and the restaurant is a real Parisian gem! Well written and so engaging! Well done Stana! Exciting. Your article will take me to Anahi on my next trip to Paris. You did it Stana!